This slot is fantasy at another level. It’s full of horror, surprise, expense and thrill. 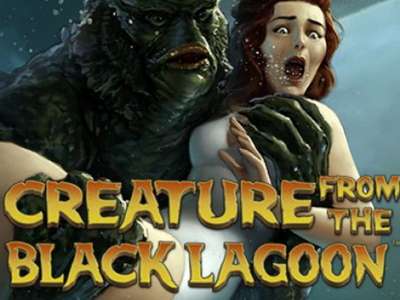 Creature from the Black Lagoon is a slot based on the horror film that was brought out in 1950. This slot has a lot to offer for all the players who love a good dose of horror on their screen. The graphics are surprisingly real and have the ability to take you to another world with ease. This slot takes you on a quest to save Kay Lawrence (the beautiful girl) from a monster. If you succeed that means you’ll win big. If you want to know how this slot works before spending your money for real, you can easily do so at one of the selected casinos. 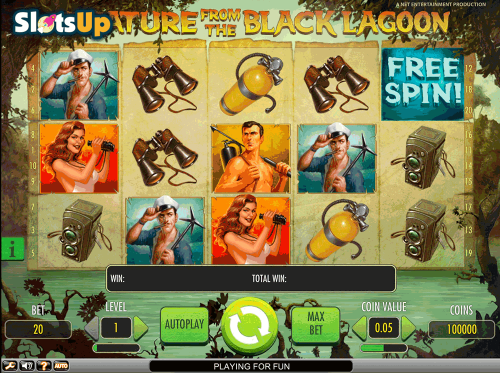 Symbols on the Creature from the black lagoon slot are all tools that you’ll need for your underwater journey to safe Kay. Diving gear, binoculars and other strange tools which I’m not sure what its use could be. But the more important question is, how can these symbols help you to win big on this slot? What you need is matching symbols on your screen from the left to the right. This slot 20 paylines (you can’t modify this) and 5 reels, so that’s where you’ll see the result of each spin. What makes this slot extra fun and exciting is the fact that regular or spreading wild symbols can pop up on your reels randomly. This can help creating winning combinations massively, especially because when they stick on the reels your winning chances are even higher. Additionally this slot comes with free spins. You’ll get access to this once you have 3 or more Free Spin symbols on the reels. 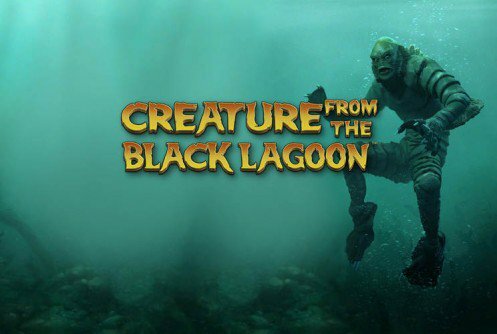 Creature from the Blacklagoon is a slot by NetEnt. If you’re a bit of an online casino fan, you’d know this is a NetEnt slot at first glance. That’s because its graphics are exceptional and the slot is really made the ‘NetEnt’ way. In case you didn’t know, NetEnt is one of the most iconic gaming developers out there. It’s a Sweden based company specializing in gaming software that has been in business since 1996. Nowadays their known for their great selection of slots with a variety of themes. Based on movies, cartoons, mythical stories and more, there is a theme for every taste. Like I mentioned above, this slot comes with an amount of 20 paylines which can’t be adjusted. What can be adjusted however is the coin size. You can do so at the meter which you’ll find at the bottom of your screen. This is not a progressive slot but it does come with a jackpot of 750. The RTP comes at a nice percentage of 96.5%. Other things important to know about playing this slot is the fact that it has an Autoplay function which will do the spinning for you. Additionally you can choose to play this slot with the maximum bet. Ofcourse you should do that only when you know how the slot works and if you’re feeling lucky.